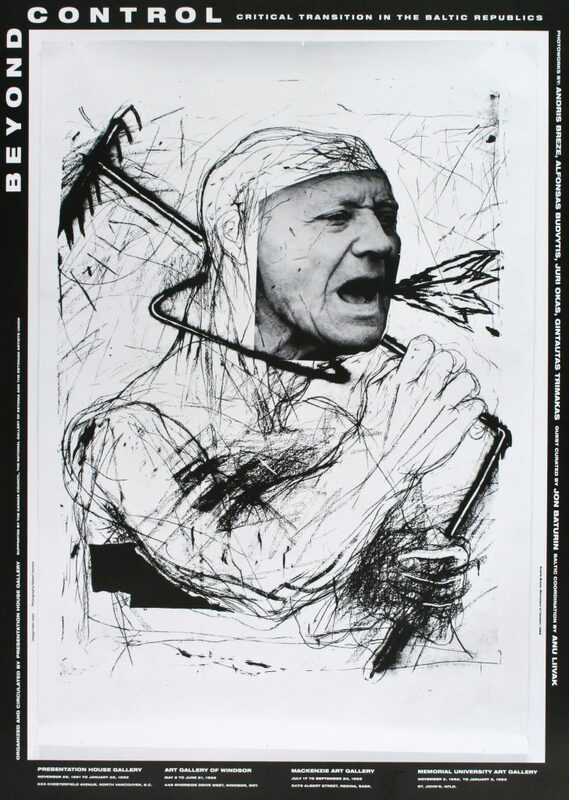 The exhibition, Beyond Control, Critical Transition in the Baltic Republics, brings to the North American public a small fragment of the culture of these countries situated in Northern Europe on the Baltic sea. Baltic co-ordination by Anu Liivak. Supported by the Canada Council, The National Gallery of Estonia and the Estoniam Artists Union. 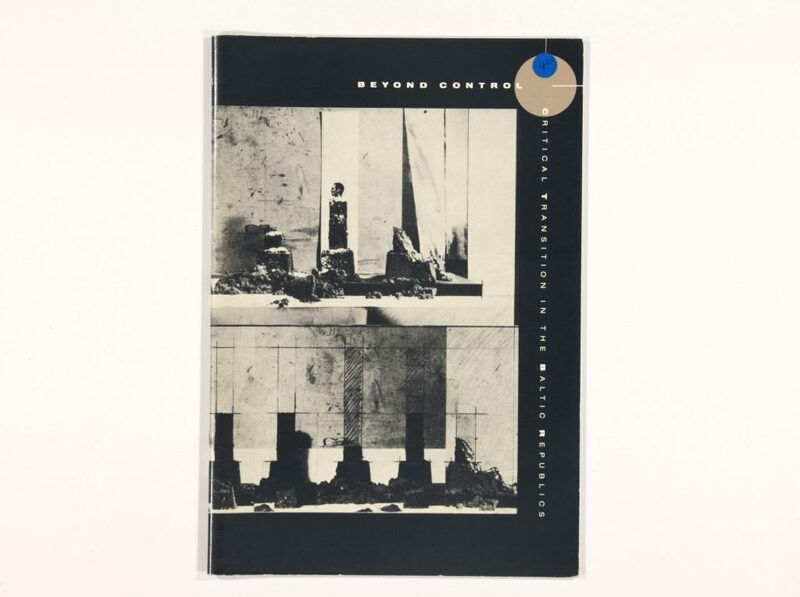 A catalogue was published by Presentation House Gallery with essays by Jon Baturin & Anu Liivak. 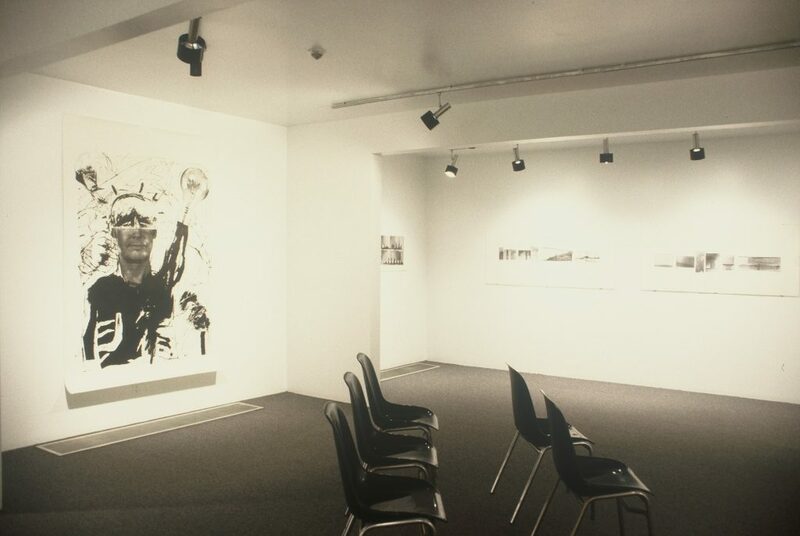 Special event: November 26th: Lecture by Anu Liivak on contemporary Baltic art. 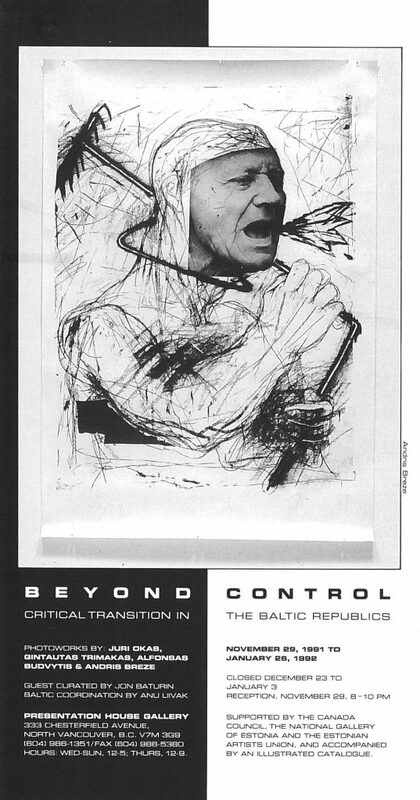 Poster for the exhibition "Beyond Control: Critical Transition in the Baltic Republics"
The 1992 exhibition, Beyond Control, Critical Transition in the Baltic Republics, brings to the North American public a small fragment of the culture of these countries situated in Northern Europe on the Baltic sea. Photographic works by four artists: Juri Okas (Estonia), Gintautas Trimakas, Alfonsas Budvytis (Lithuania), and Andris Breze (Latvia). Texts by Jon Baturin, and Anu Liivak. 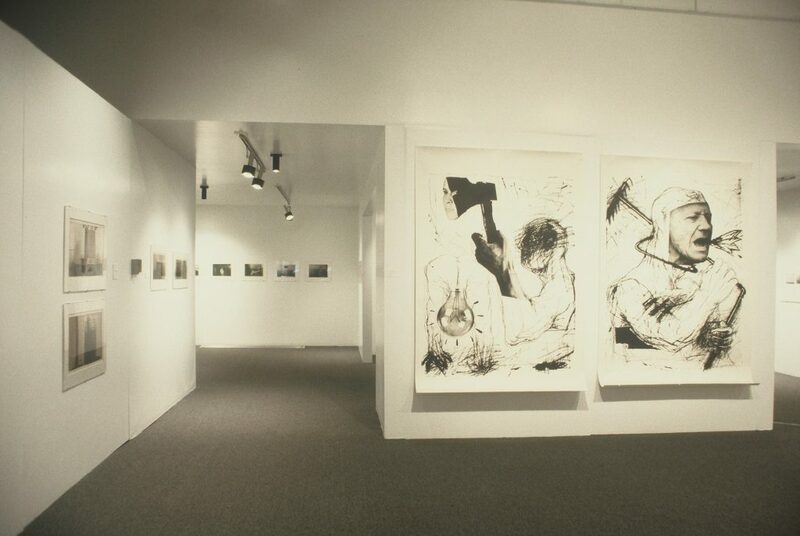 The exhibition toured to Gallery 44 in Toronto. Award in the category - Limited Colour Exhibition Catalogue, Western Canada Art Association Publication Awards. Catalogue Designer: Alex Hass. Printer: Gastown Printers.